Living in a tropical country, we are everyday exposed to the heat of the sun and we are talking as high as 30 plus degrees on a regular hot afternoon. So, we have no excuse not to wear at least sun protection on a daily basis. We have a common thinking to only use sunscreen on our summer vacay when the sun shines on its highest peak and specifically on the beach but not on a regular hot sunny day going to work or doing other outdoor activities. I don't blame you because as much as I also want to be protected under the sun, I, myself, doesn't want to use heavy sunscreens that has better SPF everyday. Not since regular lotions and creams nowadays all have a spare of SPF. But as much as possible, we needed the best SPF we could have to fully protect us from harmful sun rays. Don't worry I will be talking more of that SPF stuff and everything on my next blog post. By the way, through the years, sunscreen formulations are better now. Higher SPF, thinner consistency, non-sticky and light-weight. You want a proof? 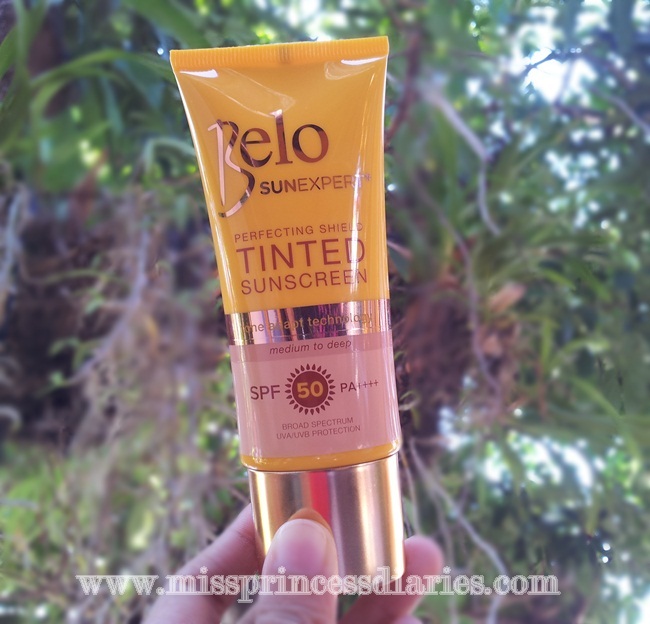 Let's try this new Belo SunExpert Perfecting Shield Tinted Sunscreen. 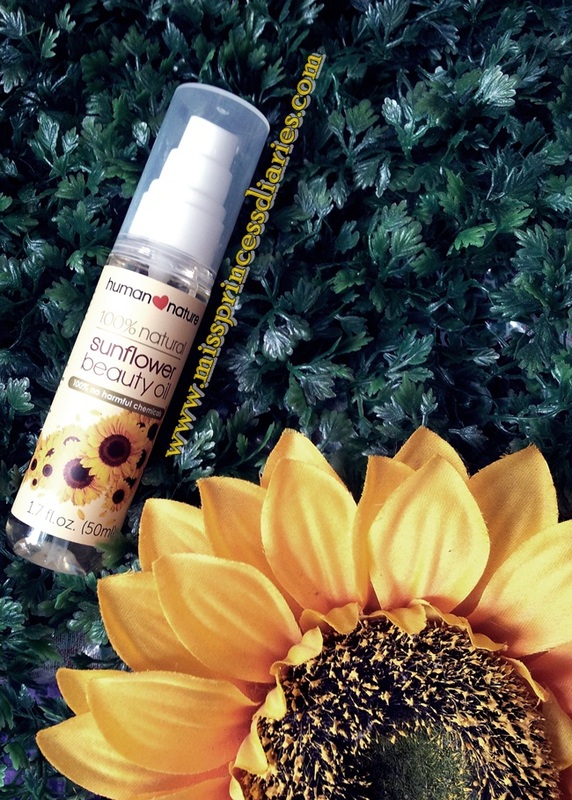 Just in time with the sunny weather, I will be reviewing this sunflower beauty oil from Human Nature. 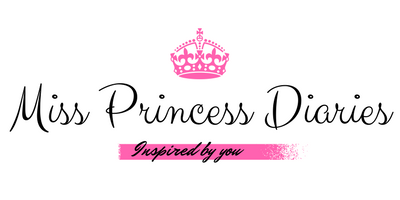 I've been reading blog posts from a fellow blogger then this said to be "miracle bottle" caught my eye. Then, I started reading reviews about this product. How should I not know about this? Haha! 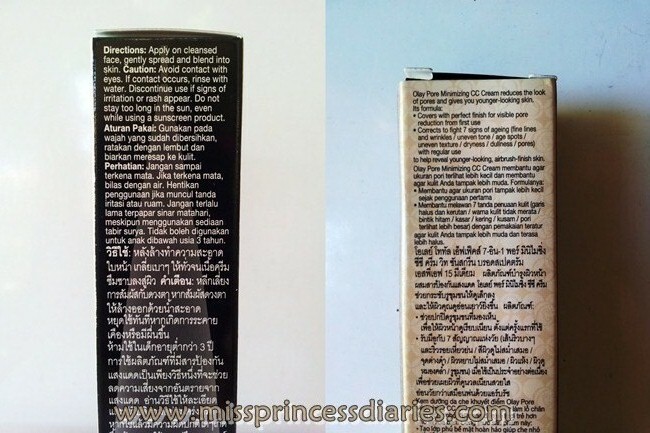 This product has been around for years and the bestselling product from Human Nature, a local brand from the Philippines which is known to made eco-friendly products. I've read a lot of good feedback and reviews on this product and it totally sold me. I said, I must also try and see for myself if the miracles will work on me too so out of curiosity and the will to try something new, I bought the 50 ml bottle from a dealer. It is actually hard to find in the market that maybe the reason why not a lot of people still not familiar with the product. Can you feel the heat? Everyone do. We want to cool up a little with our summer getaways here and abroad. As much as we love summer, we also don't want to be burned under the summer sun. Summer vacations have finally started. Are you summer ready? If you say, you were born ready then, you know what I mean here. The sun is getting hotter and our skin is not getting any younger with all that harmful UVA/UVB rays. We need to be protected under the sun to keep us worry free this summer. Whether you will be heading to the beach, visiting churches for the Holy Week or on your usual day outside, you need your sun warriors always on hand with you. Kojic Acid is an organic compound that effectively inhibits the production of tyrosinase and melanin giving skin a visibly lighter appearance. Tranexamic Acid, on the other hand, is a peptide proven to inhibit inflammation and melanin formation. It is ideal for stubborn dark spots that do not respond to other skin lightening ingredients. Lemon Scrubs, an all-natural exfoliant, help to remove dead and rough skin, allowing the whitening actives to work better and penetrate deeper. Available at: Available in all leading supermarkets, department stores, groceries, and drugstores nationwide. It may look like a papaya soap at a first glance but this one isn't. One thing is for sure that is the same with papaya soap is that it whitens, or should I say this soap intensively whitens. The popular skin authority, Belo, again comes with another formula that helps Filipinas achieve their fairer and beautiful skin. 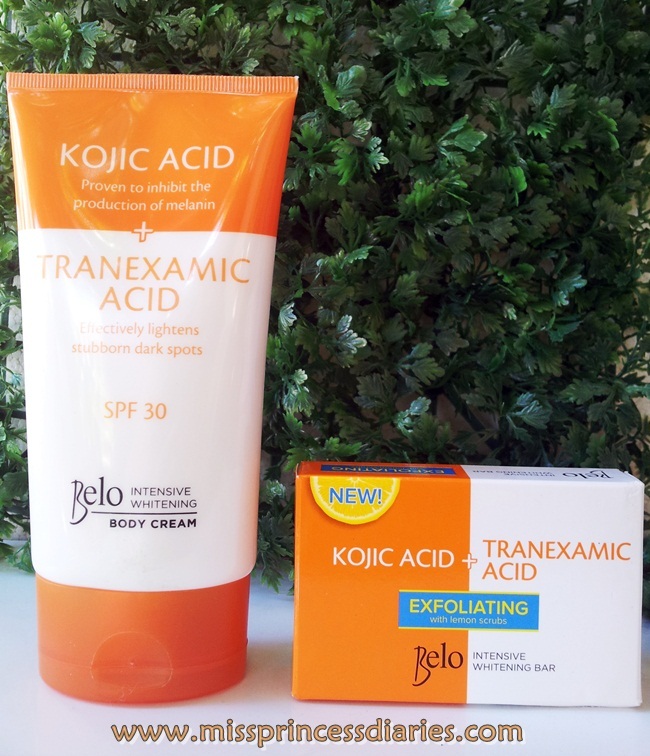 The combination of Kojic acid and Tranexamic acid efficiently whitens the skin. 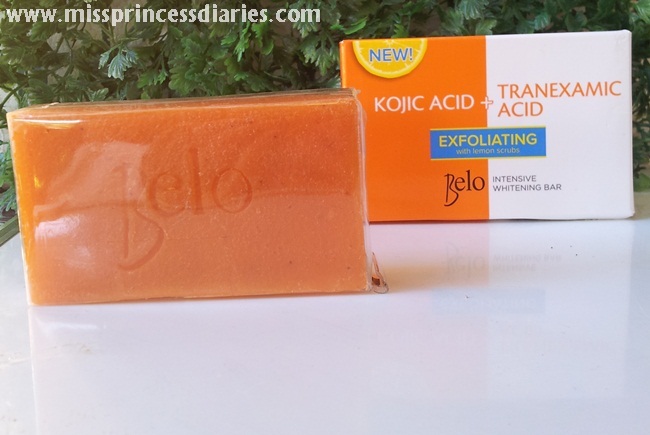 It is clinically tested that it is 64% better than products that contain Kojic Acid alone. Let's see. Here's another summer braid tutorial for you. 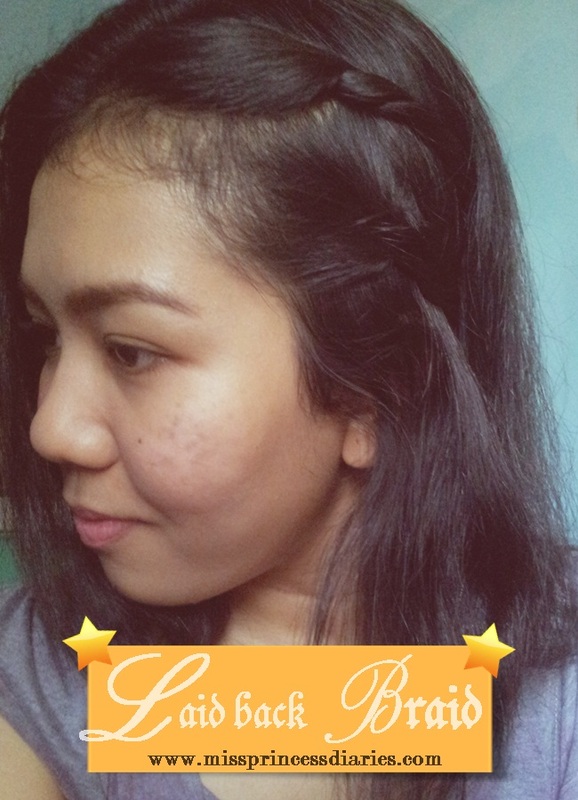 I called it Laid-back braid. Well, I know for a fact that we were too busy with all our summer activities here and there. And we can't even find time to think of what to do with our hair but to keep it down or just tied it back. I say, you don't need to be a pro hairstylist to beautifully create a hairstyle and it doesn't take that long to make one. 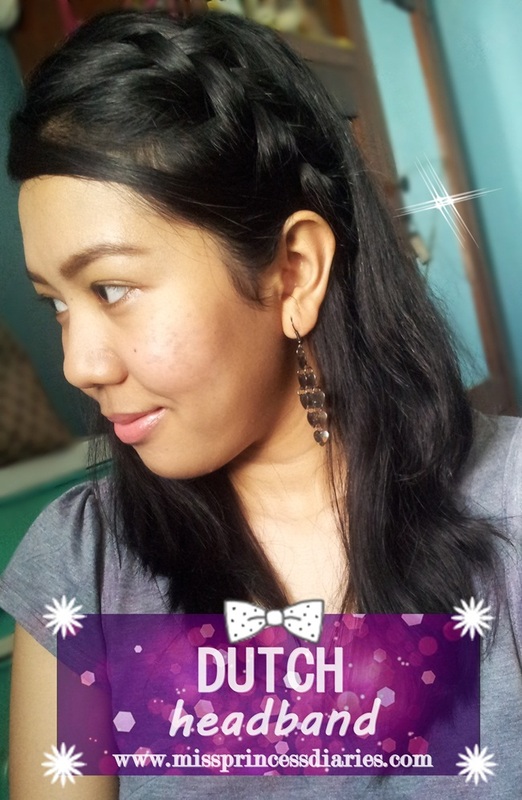 Let's see how quick this Laid-back braid hairstyle I made for you. Carica Papaya Enzyme – known as exfoliating and whitening agent. When it comes to whitening products, I am a go getter. I've always wanted to try something new until I found the perfect whitening product that really works. I naturally have a medium to morena skin tone and I always wanted an even skin and lessen the darker areas. Lately, I've been using this Silka lotion. I usually have my go-to lotion but since I wanted to thoroughly test this one, I stopped using it and go for a dry run for 2 weeks and counting to see if it could lighten my skin. And the results? Let's find out. Yes, I finally have a perfect partner for my Olay Total Effects Pore Minimizing Toner. And as promised, I made a review of it. 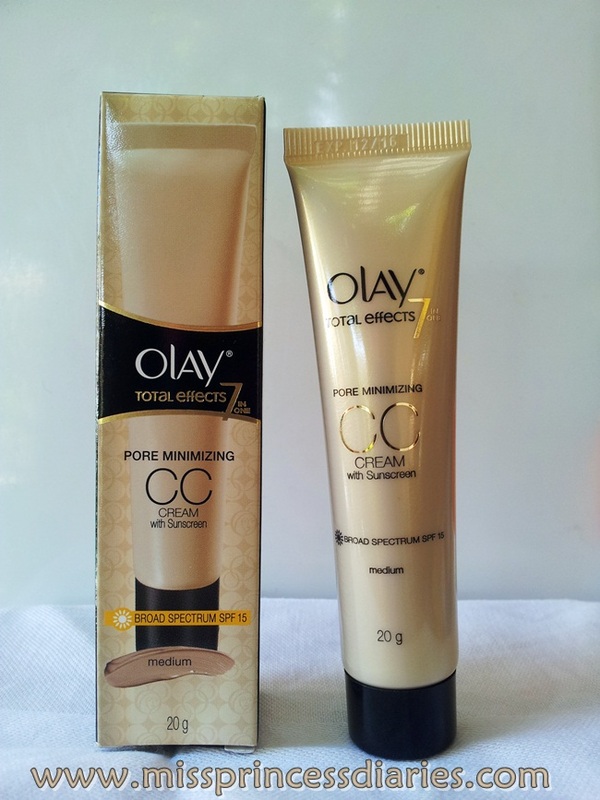 I'm loving the combination of these two from Olay. I thought I was impressed with the toner and now that I have the CC cream, it makes me happier. I am fond of using BB creams and it was my first time to use CC cream so I was really excited to have this. I can't really differentiate between BB and CC cream because every product varies from one brand to another. All I know is I am loving a tinted moisturizer like this one. Let's see what we have here. As much as summer is concerned, some people say "tan" is in but to us ladies living in a tropical country like in the Philippines most of us are into our road to a fairer skin. 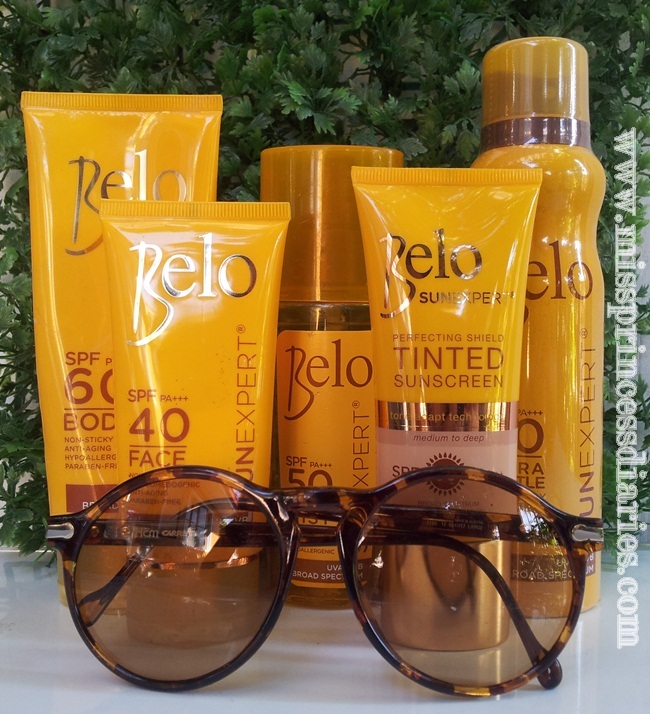 Thanks to Belo for always innovating an intensive whitening products for us Filipinas on our journey to a whiter skin. It is formulated with the popular Kojic acid that helps in preventing melanin production together with Tranexamic acid that inhibit inflammation and melanin formation that is ideal for stubborn dark spots. It is also clinically proven to whiten 64% better than products that use Kojic acid alone. Let's get closer to the products. 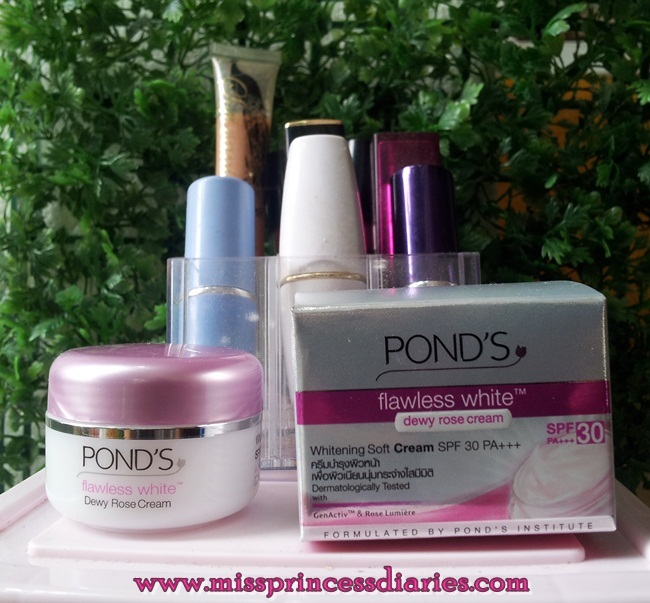 PONDS has been a part of my teenage years since it was the very first skincare brand that I used growing and blooming up as a lady. This is by far my most tested brand that is why I believed in every product that they produced. 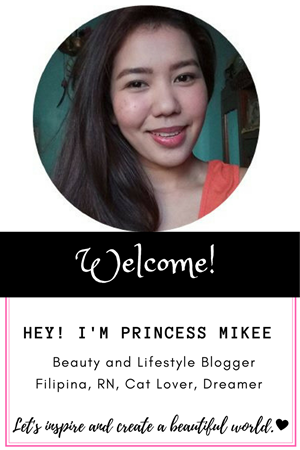 I swear that not only it is my most loved product since I was a teenager, it was also one of my first hated brand because I was blaming my first breakout to the product I am currently using wherein fact all my speculations was because of hormonal imbalances of being a girl to an adolescent at that time. I was into their facial wash and foam then, lately into facial wash with exfoliating beads. I just love cleansing up my face before, after and in between any of my outdoor activities. Then, I tried their facial cream and lotion which I always applied after cleansing my face. I remembered that time that I always allot 1/4 of my tiny allowance just for buying Ponds. It's the third month of the year and we are down to the last month of the quarter. Truly, time flies fast so as my cats are just as looking cuter as always everyday. I've been longing and thinking for a cat post since January and I can't make any sense on what to share to you more than just what they did last Christmas: climbing up Xmas trees. Summer break is fast approaching and the sun is getting hotter. 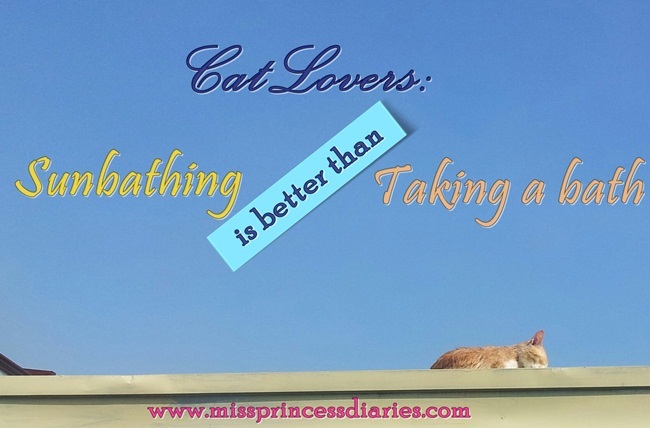 I knew that cats lived in a country with warm weather like here in the Philippines is so lucky because they can enjoy outdoors most of the time. The "its getting hot in here" vibe is what my 'sleeping heroes' are looking forward. Hello, Mr. Sunny and hi! kitty under the sun. We can't deny that water dissolves under the sunshine so now, I therefore conclude why they love sun and hate water or should I say sunbathing is better than taking a bath. Lol!